Astronomers now prefer to quote distances between stars in Parsecs, rather than the older Light Years. This is because it makes some calculations much simpler. The navigation instruments on Jane’s eight-footer are all calibrated in Light Years. So why did Space Fleet decide to go back to the older unit? The answer is very simple. Look out of the window at some object in the distance, such as a tree on the horizon. Now move your head from side to side. The tree will appear to move around in the window. If you have something like a sextant which lets you measure angles very accurately, and you know how far you are moving your head, you can work out how far it is from you to the window. Parsecs work like that. As the Earth goes around the sun nearer stars seem to wobble when compared against very distant ones. If you know the size of Earth’s orbit, and use a telescope to measure the wobble you can work out how far away the stars are. One problem. One of the constants involved in the definition of the parsec is the size of Earth’s orbit around the sun. That’s all right, unless you are on another planet circling another star. Jane’s home planet, Mercia, orbits a type F star over two hundred light years away in the general direction of Alpha Cygni. On the other hand the Light Year is the distance light travels in 365.25 days, exactly. A day is defined as 24 x 60 x 60 seconds, and a second is defined in terms of the vibrations of the caesium atom. The point is that, if you know the definition, you can go anywhere in the universe and do an experiment to measure a light year and get the same result. And that’s why Space Fleet work in light years. The reason that there has been a break in these blog postings is that I have moved house from the top of a steep hill in Berkshire to the middle of a flat plain in Hampshire. Given a choice between organising the move and, for example, arranging a trip to the moon, I’d be heading for mission control in seconds. 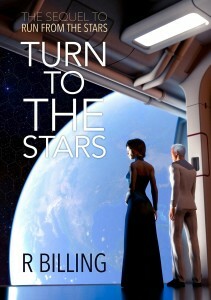 The good news is that I am now working on the third novel, with the provisional title “Seek for the Stars”. Jane is being as outrageous as ever, and the stakes are much higher. So, give me some encouragement. Get in touch or leave a comment. Tell me what you thought of the first two books. I promise a personal response to everyone. The character of Dr Heloise McAlister, spaceship designer and dog lover, was based on a real lady engineer who spent much of her life developing jet engines. I regret to inform readers that she recently passed away in her sleep. I have not included the day cabin furniture in the drawing of the eighty-footer. This is because it can be changed for the various roles that the spaceship can fulfill. Normally there are two airline-type seats facing forward at the rear of the cabin, and a two-seater couch facing backwards. The day cabin can be used as a meeting room with four people sitting facing each other. It can also be reconfigured quickly into an ambulance mode. The two sides of the couch fold down making a single long table for the casualty, while the person looking after them sits in one of the seats facing them. When single-crewed and in ambulance configuration the officer will hand over the actual flying to the ship’s computers and autopilot, and concentrate on the casualty. There is also a multi-bunk configuration, where up to eight marines can live in the day cabin at once, and a diplomatic configuration where the officer crewing the ship moves into the day cabin, turning the bed cabin over to a VIP. These are rarely used. I’d like to thank the wonderful people who run Goodreads for the great job they do in keeping the site open as a free resource for readers and writers. It has reviews, book lists and discussion groups, and is one of the friendliest sites I’ve ever seen. They have been kind enough to give me some very good reviews which you can read here. 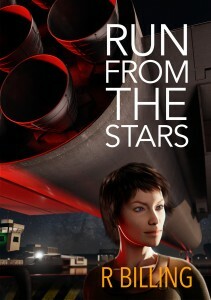 I’m pleased to be able to say that “Run from the Stars”, the first book, has attracted one four star and one five star review on Amazon. Thanks to the reviewers for their kind words. Strictly this was last Wednesday, but due to the confusion over calendars on five hundred plus planets with different lengths of both day and year it’s probably easier for readers on earth to celebrate it on next Wednesday, 9th March. Homeworld day celebrates the moment when the settlers on Homeworld, the ancestors of the present Arcturians, came to the end of the supplies that they had brought from Earth on the starship Hope. Genevieve Powell – the Powell after whom the Powell vector is named – opened the last tin of condensed milk and used it to make tea for the people working in one of the farming domes, then went on to put milk from an Arcturian cow into her own tea. Lise Schmitt, the mathematician who had worked with Powell on developing the drives, operated the camera which captured the moment from posterity. So, on Wednesday, offer someone a cup of tea with the words “We are now free”. If offered one reply “Truly free.” That’s how Homeworld day is celebrated. I spend quite a lot of my time reading, and occasionally commenting on, other writers’ SF. One thing that I have noticed only too often, and tried hard to avoid in my own writing, is a spaceship that thinks it is an aeroplane. Of course spaceships do have to get down to the ground, and up to orbit again, and to do that they have to get through the atmosphere. The problem comes when a spaceship is in vacuum. the pilot pulls back on the stick and the machine executes a screaming high rate turn. Er, no. You can’t do that. Aeroplanes turn because moving the controls moves the elevators, ailerons and rudder. These push against the airflow and around she goes. 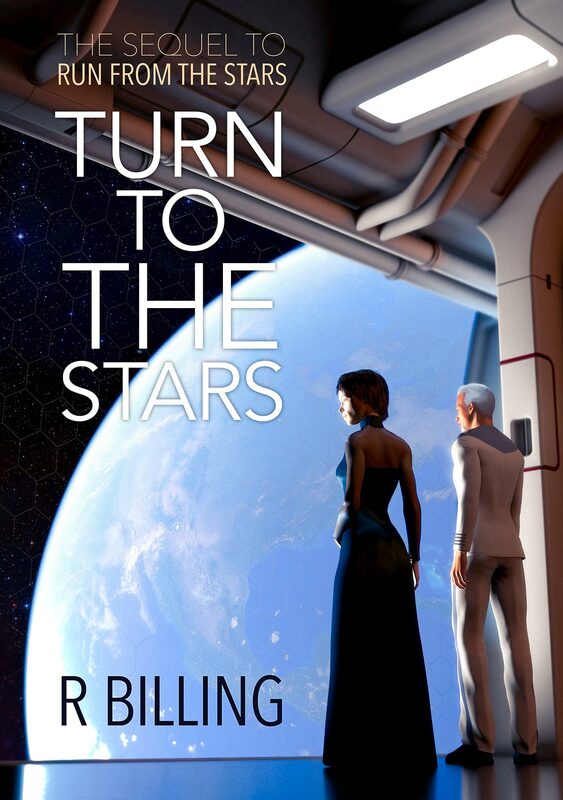 My eighty-footers have control surfaces for use in atmosphere, have a close look at the top right hand corner of the cover picture of Run From The Stars and you’ll see one. But once the ship is in vacuum they do exactly nothing. Changing direction in vacuum means ejecting reaction mass, in other words firing some sort of rocket engine. That means using up mass that you have taken on board and can’t replace. And that leads to a whole set of new problems. Christmas is coming, and with the human race spread out on over five hundred planets there are a variety of different traditional celebrations. Living on Greenworld can be a little confusing. Every day is the same length and the weather hardly changes through the year. Because of this the Greenworlders make a huge issue of Christmas. Parties can go on for three or four days and meals take up an entire afternoon. Of course the date of Christmas has nothing to do with the Greenworld year, they use dates based on Old Earth’s calendar. The Greenworlders have also absorbed a lot of other cultures’ traditions, so Father Christmas has joined with Grandfather Frost and dons blue robes to hand out presents. St Lucy visits during the late afternoon but instead of candles her costume is alive with as many small lights as can be contrived by an engineer with nothing to do in the evening. Greenworld Christmas is a wonderful experience, even if it can be overwhelming the first time. 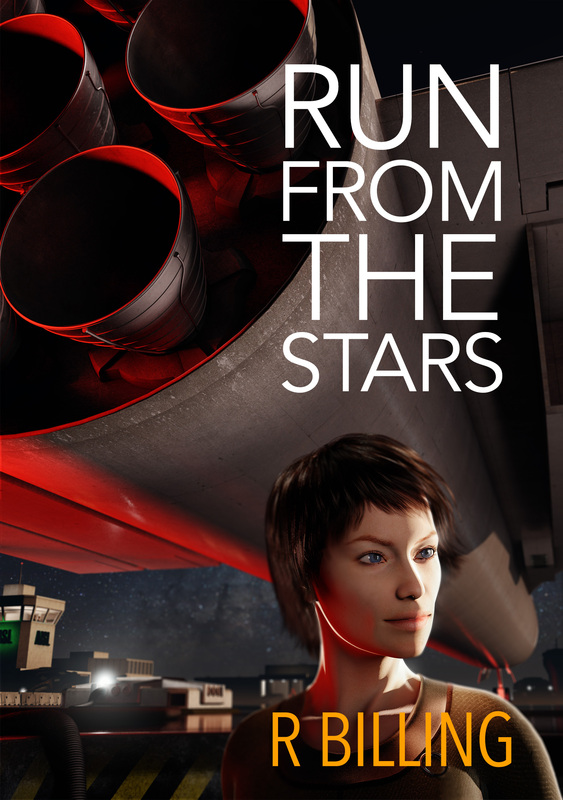 The first book, “Run From The Stars” will be available as a free download for four days from Friday 4th to Monday 7th September 2015. This book will make you gasp, cry, fall in love and scream in terror. If you like it positive reviews on Amazon will be appreciated. This offer will not be repeated in the near future to make sure you download now.